Clouds are described by almost every adjective in the book, from pretty to ugly to ominous and breathtaking. 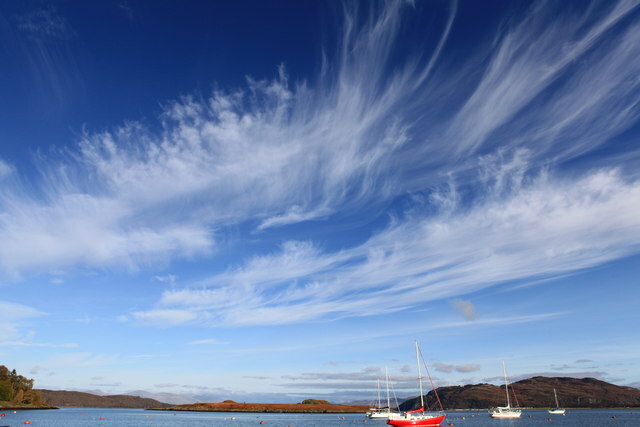 Did you know that different clouds are precursors to specific types of weather? It's true! Making note of the cloud types can give you insight into impending weather conditions. Let's learn more about the different cloud types and what type of weather you can expect from each. 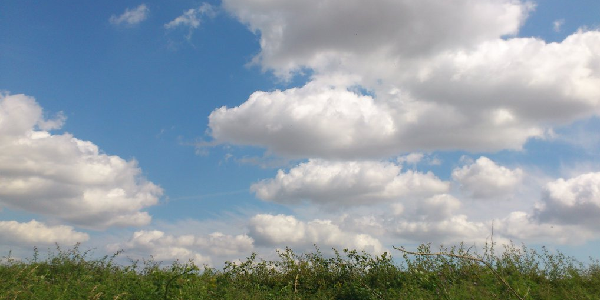 Cumulus clouds are probably the most well-known of the cloud types. They generally form from convection, with air parcels rising vertically into the atmosphere (called updrafts) and condensing into the puffy, cotton-like clouds that we all know and love. 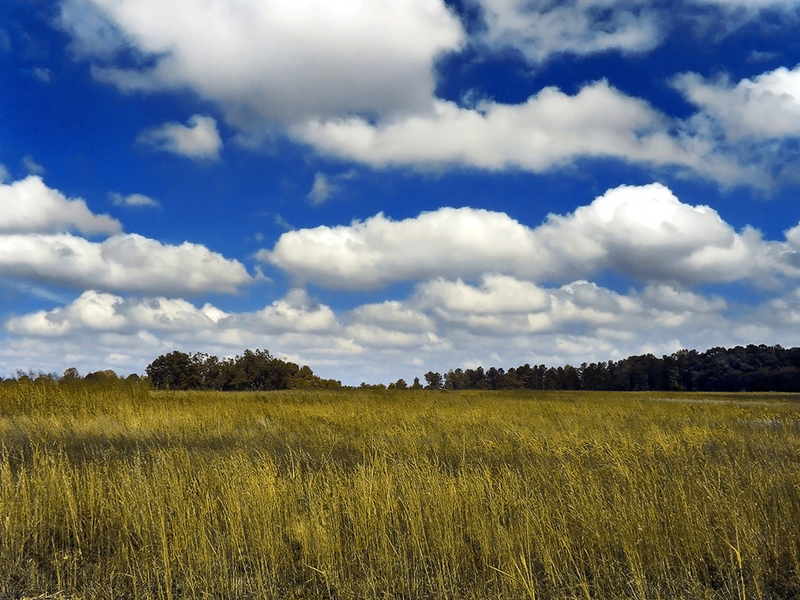 Typically, cumulus clouds are associated with pleasant weather where you can lie back on the grass and admire the sky. If updrafts become stronger, those seemingly innocuous cumulus clouds may grow taller into what we call cumulonimbus clouds. These are the awe-inspiring and ominous clouds mainly observed during the summer months and can be indicative of developing thunderstorms, including lightning, hail, heavy rain and even tornadoes. 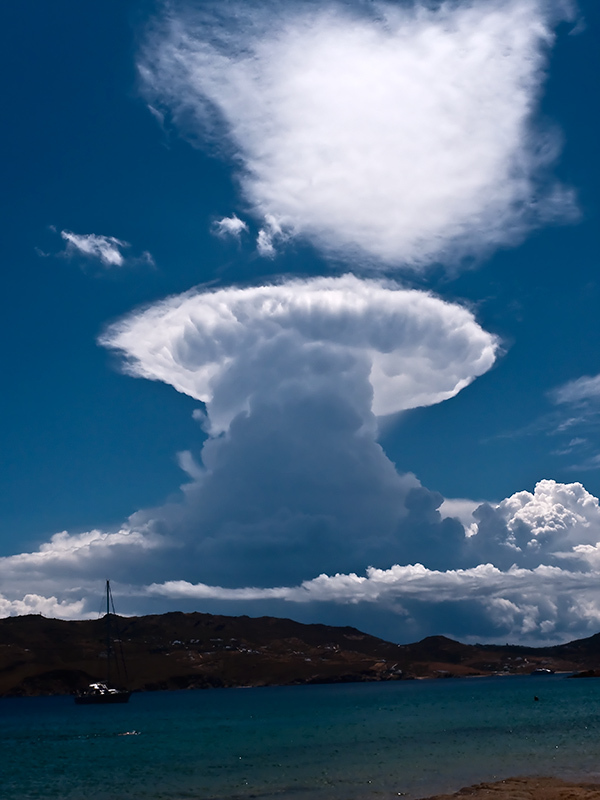 The strongest thunderstorms can even produce cumulonimbus clouds that tower up to 60,000 feet! Personally, stratus clouds are my least-favorite and I'm sure that likely goes for most people. These clouds, which look like a layer of gray blanketing the sky, are generally associated with wet conditions. They typically form when warm air is lifted over cold air, which allows the water vapor to condense rather uniformly, transforming the sky into a gray and dreary scene. 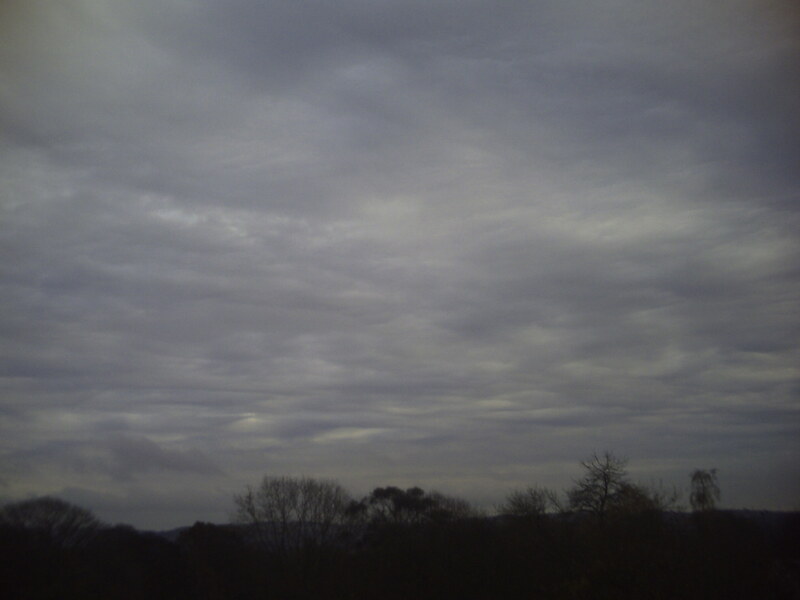 In fact, stratus clouds can last for days and bring cool temperatures, persistent rain, drizzle, or even snow. Now on to my favorite type of cloud, cirrus clouds! Ever notice those high, thin and wispy clouds that usually make for beautiful sunsets? Yep, those are cirrus. They develop very high up in the atmosphere and are actually made up of tiny ice crystals. We can see cirrus clouds in a variety of scenarios including outflow from large scale storms, like nor'easters, tropical cyclones and even thunderstorm complexes. They also form out ahead of warm fronts and can be indicative of upcoming precipitation. While cirrus clouds may filter sunshine and make for a beautiful day, don’t be fooled…they can signify impending storms! Now we reach the clouds that are sometimes at the center of controversy, contrails. No, they are not formed as a result of chemicals emitted into the atmosphere, but mainly because of the water vapor released by the exhaust of an aircraft. 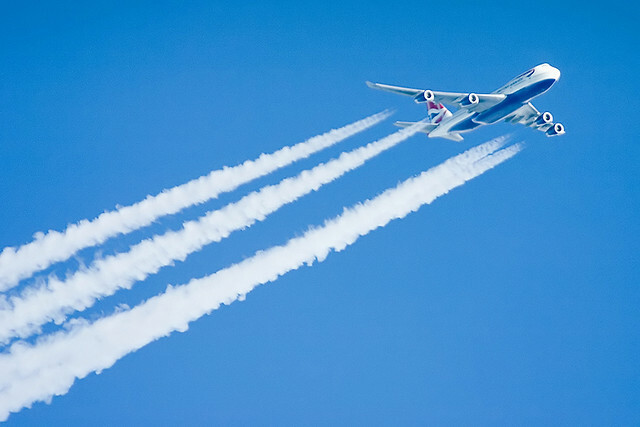 When the aircraft releases the hot water vapor at such a high altitude, it becomes trapped in a very cold environment where it almost immediately condenses and forms a cloud. Depending on how dry the upper atmosphere is, the contrail cloud may stick around for mere seconds or spread out and become cirrus clouds for hours. However, these clouds are not associated with any weather. The lenticular cloud is one of the more unusual cloud types and is more common to those living out west, especially in the Rocky Mountains. 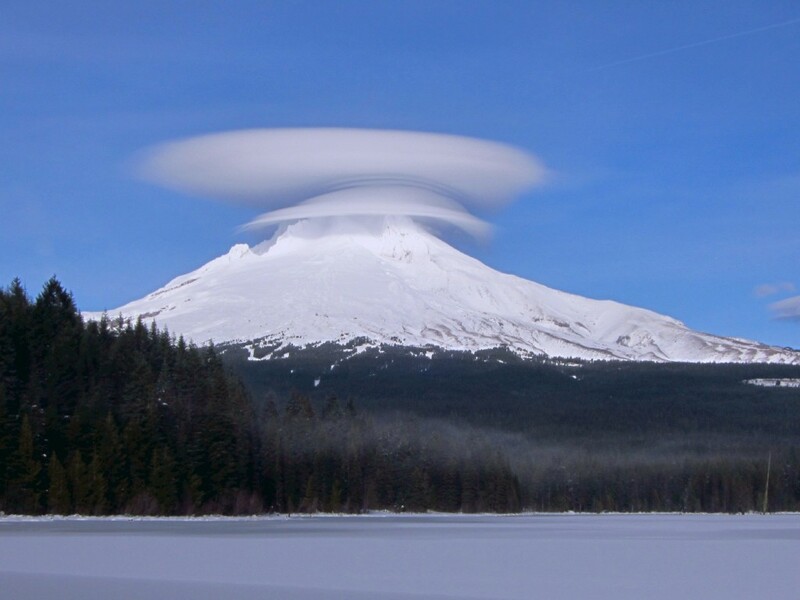 This cloud resembles a lens and is typically positioned over a high hill or mountain. As the wind blows against the mountains, it is forced upward and moisture condenses, forming a cloud that stays stationary until the uplift or moisture feed ends. Although these clouds could produce precipitation if dense enough, they are mainly an indicator of air turbulence downstream. However, due to their unique shape, many times they have been mistaken for UFO sightings! Finally, we have mammatus clouds. These almost look like little pouches or bubbles of cloud hanging from the above cloud deck. Though their formation is still not completely known, they are generally associated with severe weather and usually extend from cumulonimbus clouds. Thus, you should always be alert for stronger thunderstorms if you ever see mammatus clouds! Such clouds also inform pilots of turbulent flying conditions and they are instructed to avoid the area. Hopefully you can appreciate those beautiful, puffy masses of water in the sky whether you are an avid weather enthusiast or just curious when weather threatens. Not only can clouds make great photographs, but they can also provide insight into approaching weather, so keep an eye to the sky!